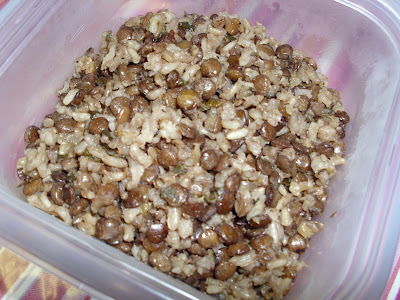 Saute the lentils, rice, onions, and garlic in oil until onion is tender (about 4 min.). Add the rest of the ingredients. Bring to a boil. Reduce heat and cover. Simmer 30 min. or until water is absorbed.